Photo Credit: Nick Roush, Washington, DC. The D.C. city council will vote on Chairman Phil Mendelson’s 2015 budge proposal on Tuesday, June 24. 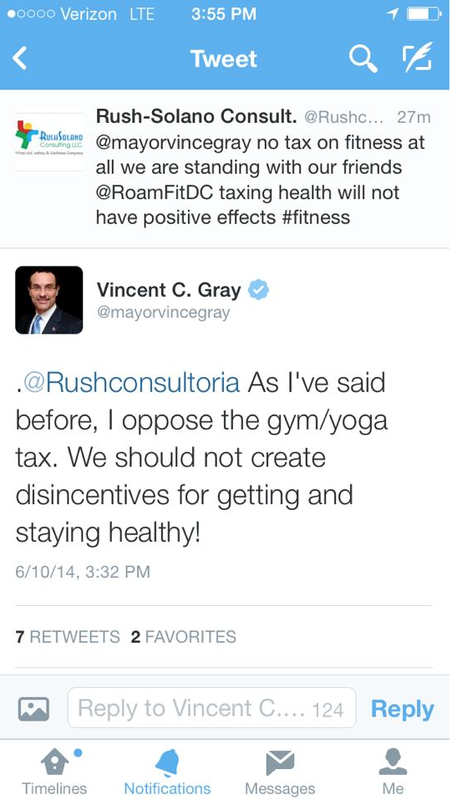 Under Chairman Mendelson’s proposal, D.C. gyms will start paying a 5.75% sales tax, while city employees will receive raises. It has long been a practice of politicians to try to influence behavior by manipulating the tax code. When politicians decide that a behavior, such as smoking or consuming sugary drinks is “unfavorable,” they tax it more. So if taxing a behavior creates an incentive to avoid or stop that behavior, wouldn’t the same be true for taxing memberships to fitness facilities? Chairman Mendelson doesn’t believe this is the case, arguing that the amount of tax a consumer pays for a product is not as influential on behavior as the overall percentage being taxed. In other words, Mendelson believes that a $2.50 tax on cigarettes has an effect on behavior because that tax represents nearly 35% of the total cost of the pack. The $10-15 increase on monthly gym membership for CrossFit affiliates, on the other hand, represents only 5.75% of the total cost of membership. “If the tax we applied to gym membership was 80% of what the membership cost was, yes, I think that would discourage some memberships,” Mendelson said. Looking past this apparent contradiction in his statements, we can’t find any support for Mendelson’s opinion. When Amazon.com was forced to apply state sales tax to purchases made by customers in some states, people made fewer Amazon purchases. Specifically, researchers found that “In states that have the tax, households reduced their spending on Amazon by about 10 percent compared to those in states that don’t have the levy. For online purchases of more than $300, sales fell by 24 percent, according to the report titled “The Amazon Tax. Consider for a moment that D.C.’s per capita income was 45k for 2008-2012, yet the median salary for a D.C. city “executive assistant” was 72k in 2011. In other words, Mendelson’s expanded sales tax is raising wages for city employees, many of whom already make 1.6 times the average D.C. resident. This is the same city in which a custodian earned 104k in 2010 simply because of seniority. And all of this is being funded by the same D.C. residents who are now being asked to pay $180-120 more per year to train at a CrossFit affiliate. 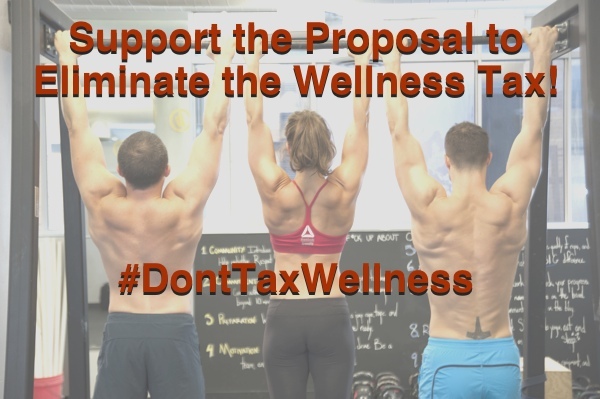 Click here to tell the D.C. City Council how you feel about the fitness tax and follow the group “Say NO to DC Gym Tax” on Facebook.